No tents. No sleeping bags. No cooking. No driving. No hidden charges. No worries! 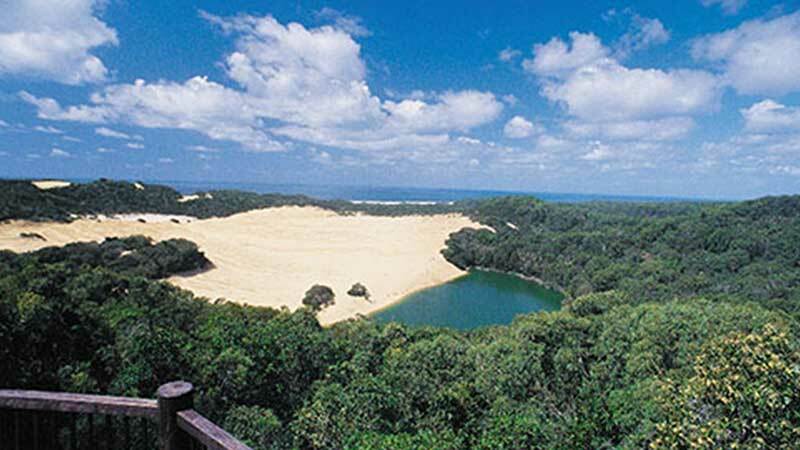 Cool Dingo Tours offer a fun and relaxing experience on Fraser Island for all types of travellers. You’ll be mad not to book this three day, two night experience! Discover all the wonderful natural sites that make Fraser Island a World Heritage Site but also a must-see on any East Coast travelling itinerary. Travelling in air-conditioned comfort you’ll embark on a Cool Dingo wilderness adventure where your experienced Ranger Guide will stay with you for the entire trip. You’ll also discover all of the island’s iconic spots as well as revel in the lodge-style accommodation each night, enjoying a refreshing shower and buffet dinner. Note: Daily itineraries will also vary, depending on tide and weather conditions. Tour departs your Hervey Bay accommodation between 7-8am, returning at approximately 6pm on your final day of the tour.